You can mostly find me here these days instead. I'll do cross-posting for a while longer though. On Monday night I mixed up a batch of my great grandma Inez’s gingerbread. It’s a dead easy recipe to make but it needs to rest overnight or it will be too runny to work with. I dropped it all in a plastic box and left it on the patio over night. Once it was time to bake it needs a lot of work to soften up and the girls were both waiting impatiently for me to work the dough into shape. 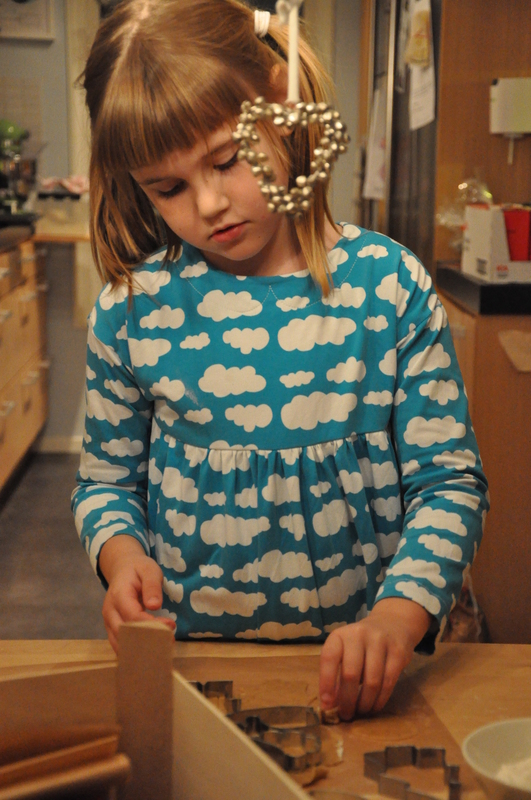 I let them work on their own baking paper to make it easier to transfer the cookies to a baking sheet. They came out a little on the dark side for my taste. I’ll need to watch them more closely tonight when I finish baking the rest of the dough. 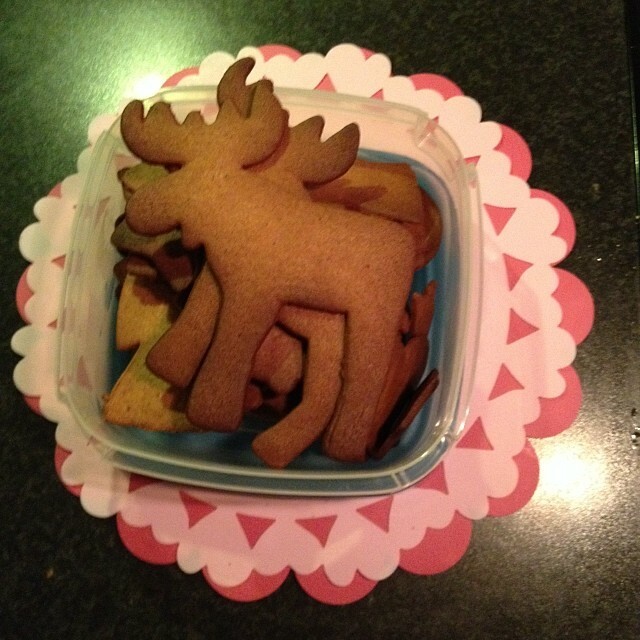 The moose on top is from a cookie cutter set I got at IKEA and below it are houses, stars, hearts and angels. 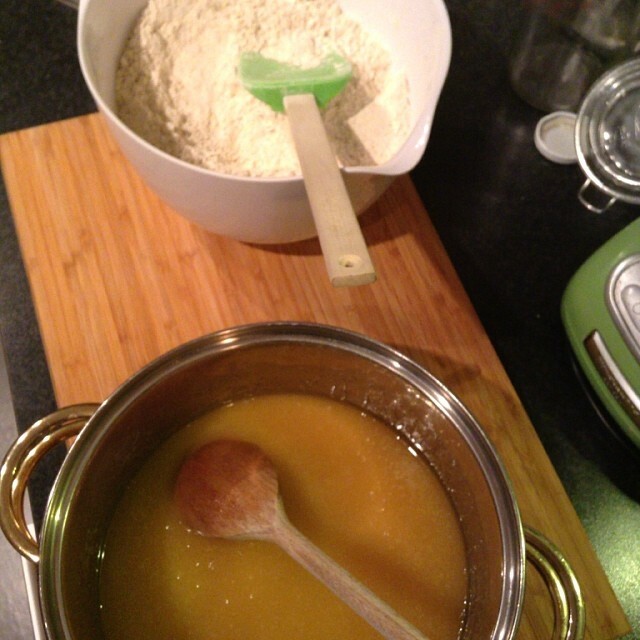 They tasted exactly as they were supposed to, even though Rickard distracted me while I was putting the ginger in.